Hydro Eco Clean is interested in two things: Delivering flawless results to your home, and doing it in an earth-friendly way. Our approach is proof that being environmentally responsible doesn’t have to cost extra. We provide quality residential services that will go easy on your budget. 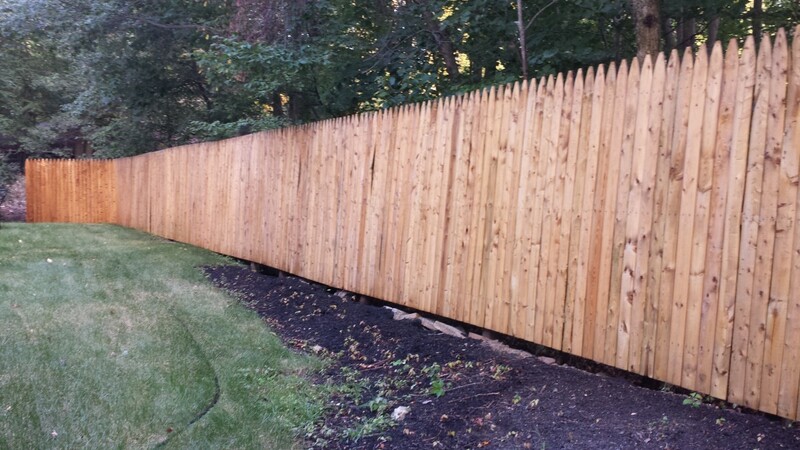 Contact us for a free estimate or call our West Milford, NJ office. We are happy to provide estimates in West Milford, Ringwood, Macopin, Wanaque, Bloomingdale, Butler, Kinnelon, and the Warwick communities. If you are outside of those areas, call us to possibly add your area to our service zone. As your Eco-Logical And Eco-Nomical Choice, we offer many services for your home. See details, below. The Tri-state area of New Jersey, New York and Pennsylvania is fortunate to get four unique seasons. But with that comes weather changes that can cause havoc on homes. As a result, gutters can get clogged quickly, putting unwanted moisture in places that leads to fungus accumulation and unsafe conditions around the home. 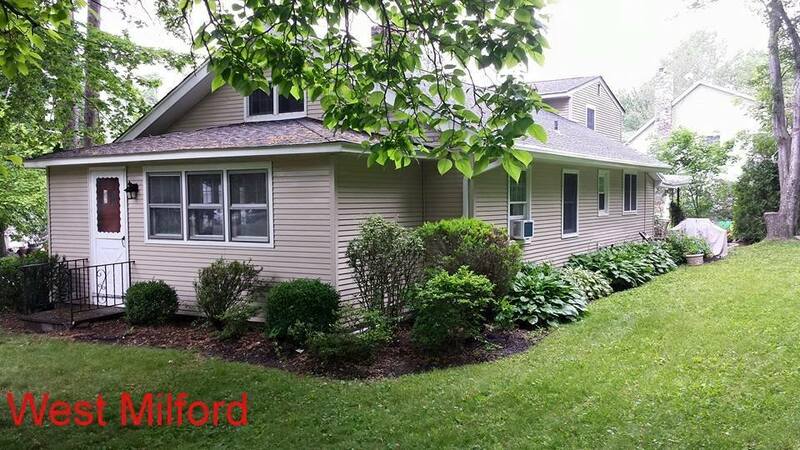 The Hydro Eco Clean gutter cleaning team based in West Milford will clear the leaves, sludge, and other buildup that would otherwise get in the way of the gutter’s primary job of moving water away from the dwelling. After testing to make sure flow is returned, we wash and whiten the exterior to shine up your property’s curb appeal. Our technicians travel the West Milford area for our residential gutter cleaning services – including nearby Ringwood, Macopin, Wanaque, Bloomingdale, Butler, Kinnelon, and the Warwick communities – to clean gutters, siding, fences, concrete, brick, decks and patios, restoring each to like-new condition. 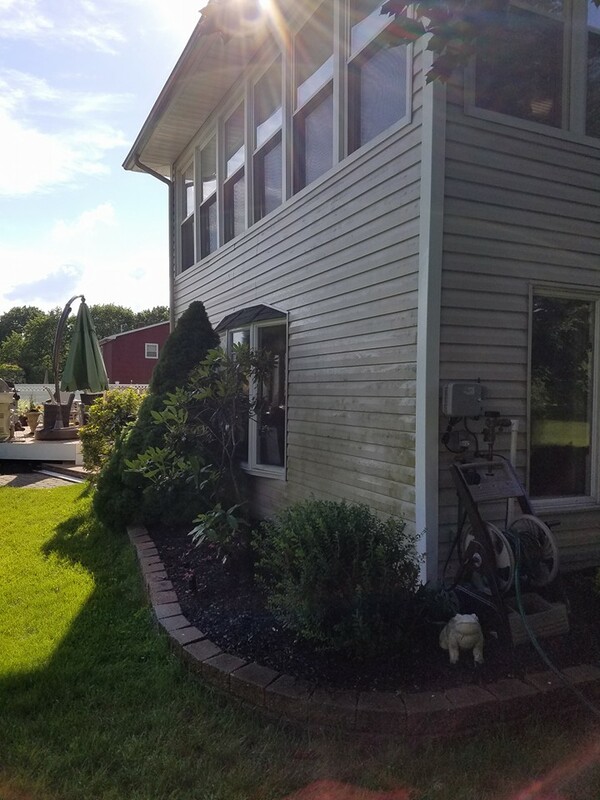 Contact us for a free gutter cleaning free estimate or call our West Milford, NJ office if you have questions about this or any of our other pressure washing services. Roofs get plenty of exposure to the elements. If it isn’t addressed, this exposure has implications for the lifetime of your roofing and the overall appeal of the house. 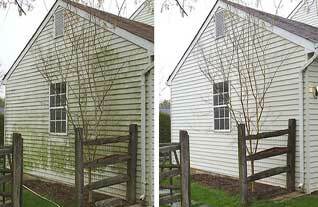 We solve each issue with the HydroEcoClean soft wash roof cleaning services in West Milford. Our technicians are trained on the proper ways to clean and restore your home’s protective covering and our equipment can remove moss from any surface. The Tri-state area of New Jersey, New York and Pennsylvania has a lot of environmental volatility, due to weather patterns and the yearly evolution of plant life. This can lead to harsh conditions for shingles, including the buildup of harmful elements, such as mold, mildew and moss. 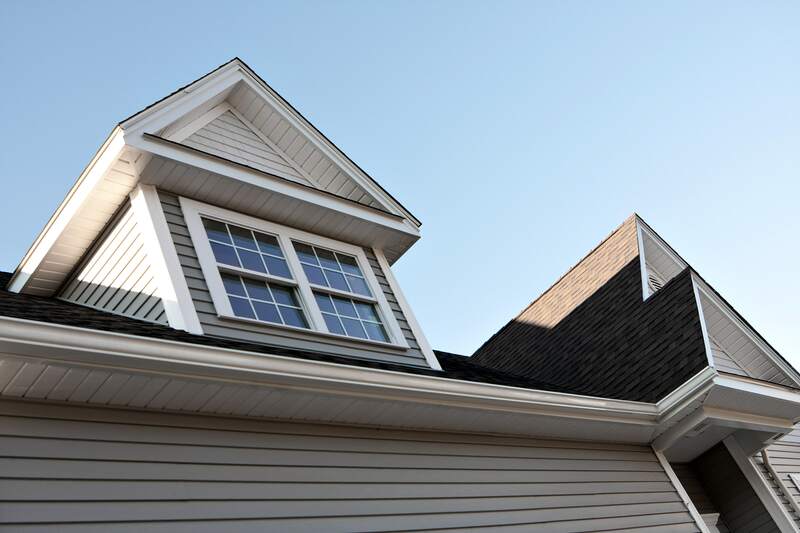 These need to be removed from the roof’s top layer BEFORE penetrating the roof and causing breakdown in the shingles and eventually the roof’s sheathing. But We Can Improve It With Our Soft Wash Process! 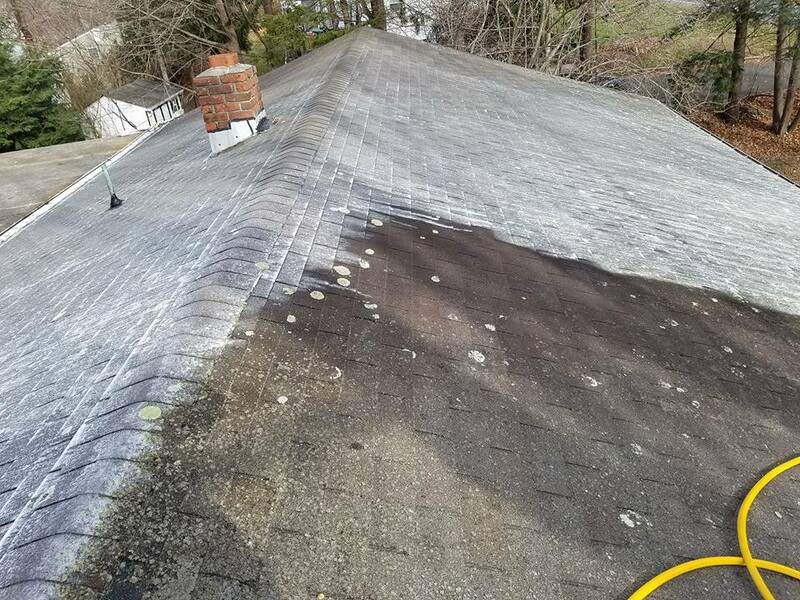 Contact us for a free estimate or call our West Milford, NJ office for more information on our pressure wash roof cleaning and moss removal services. We are happy to provide industrial pressure washing estimates in West Milford, Ringwood, Macopin, Wanaque, Bloomingdale, Butler, Kinnelon, and the Warwick communities. If you are outside of those areas, call us to possibly add your area to our service zone. The professionals at Hydro Eco Clean want to make every part of your property a long-lasting asset, and your deck and fencing are no exceptions. Our wood restoration services are designed to mitigate the effects of exposure so you can enjoy a beautiful, durable property — from your patio or pool deck to your property’s fencing. The Tri-state area of New Jersey, New York and Pennsylvania has a lot of environmental changes throughout a year, due to weather patterns of hot, cold, moist, dry and whatever comes in off the coast. This can lead to harsh conditions and the possible buildup of fungi, such as mold and mildew. These fungi can be hazardous to your health, so it’s important to hire the right West Milford deck wash cleaning and fence pressure washing company to remove these unhealthy substances. Contact us for a free estimate or call our West Milford, NJ office. We are happy to provide deck and fence pressure washing estimates in West Milford, Ringwood, Macopin, Wanaque, Bloomingdale, Butler, Kinnelon, and the Warwick communities. If you are outside of those areas, call us to possibly add your area to our service zone. Let Our Soft Wash Bring It Back To Life! 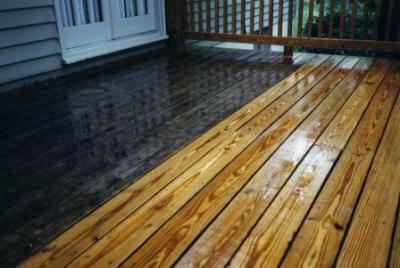 Wood surfaces require a special touch and, in addition to our pressure washing services, our Hydro Eco Clean technicians provide wood staining and painting services in and around West Milford, NJ. This added step increases durability of wood and gives your entire property a more cohesive and polished look, while adding years to the structures. Our painting solutions will bring long-term value to your property. We are proud to provide careful attention to the detail of your deck, wood exterior, and other natural surfaces around your home with our West Milford based wood painting and staining services. We promise that there is NO guesswork from our technicians, only perfect results! 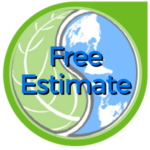 Call our West Milford, NJ office to schedule a free estimate. We are happy to provide wood paint and staining estimates in West Milford, Ringwood, Macopin, Wanaque, Bloomingdale, Butler, Kinnelon, and the Warwick communities. If you are outside of those areas, call us to possibly add your area to our service zone. From a patio to a driveway, your hardscapes are a functional and stylistic part of your property. We use soft washing to remove buildup of dirt and grime, restore cleanliness, and provide your home with beautiful and spotless outdoor living spaces for you to enjoy throughout the warmer months. No matter what the material, be it concrete, brick or pavers, our West Milford cleaning experts can handle any residential power washing job. See HydroEcoClean in action cleaning brick pavers, with no damage, thanks to our special Soft Wash process. It does not matter whether it is brick, stone, pavers or concrete, we have the tools and cleaning agents to get the job done right. Outdoor living spaces are not the only hardscape places that need attention. Our techs often respond to calls for rust, irrigation and battery acid stain removal from garage floors and driveways. These unsightly stains can often cause issues when the home is ready to be sold or appraised for other needs. The longer the stains remain, the tougher it is to remove them from the porous materials. But our techs love a challenge, and we have tons of experience cleaning stains from driveways, patios and garages in West Milford, so we are always willing to go to battle for you, the homeowner. Contact us for a free estimate or call our West Milford, NJ office. We are happy to provide concrete and hardscape cleaning estimates in West Milford, Ringwood, Macopin, Wanaque, Bloomingdale, Butler, Kinnelon, and the Warwick communities. If you are outside of those areas, call us to possibly add your area to our service zone. Our team uses soft washing to make your home sparkle. Recommended by the PWRA, this approach allows Hydro Eco Clean to get your exterior looking like new in a safe, guaranteed-effective manner. We apply biodegradable cleaning detergents that are capable of killing even the worst cases of mold, discoloration, and other buildup. Our exterior washing services aren’t just for houses, too — we’ll also restore the beauty of your garage, pool house, and even garden shed! The tri-state area is lucky to get four very unique seasons. But with that comes a lot of different weather. As a result, your gutters are often working overtime. Our team will clear them of leaves, sludge, and other buildup that would otherwise get in the way of their functionality. After testing to make sure that they flow reliably, we wash and whiten the exterior to perk up your property’s curb appeal. We make every part of your property a long-lasting asset. Our wood restoration services are designed to mitigate the effects of exposure and wear and tear so you can enjoy a beautiful, durable property — from your pool deck to your picket fence.